Building a bridge between high school and higher education is one of the goals of an innovative approach to education in Grand Rapids. 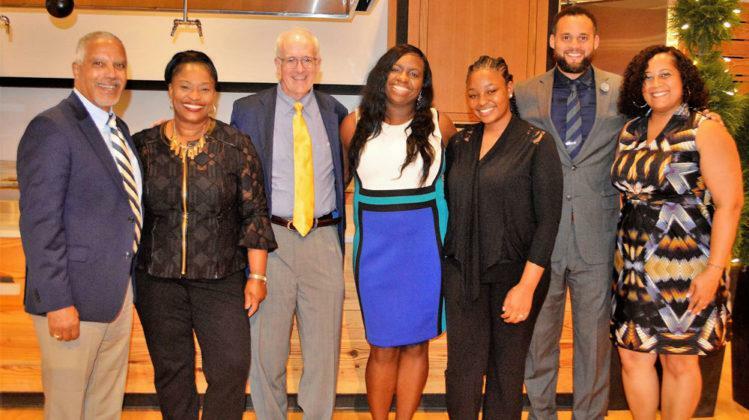 School News Network recently attended a tenth anniversary celebration for a partnership that’s putting students on a path to success. When Chyna Figures was a sixth-grader at Grand Rapids University Preparatory Academy, she and her friend Maya Thompson agreed they wanted to start their own law firm someday. Now both in college, they’re still on track for that plan. Before you know it, another school year will be in full swing. Whether your students are attending the school they’re always gone to or entering a new environment, it’s good to know who’s in charge. Assistant Principal Chris Bernard is a self-proclaimed sports nut. He also happens to love driving a Zamboni almost as much as he enjoys driving students to succeed. Sometimes all it takes is the right story….and one inspiring teacher…to turn students away from their phones and screens and onto a world between the covers of actual books. A Wyoming Junior High classroom is a testament to the power of words. English teacher Katie Sluiter’s encourages eighth-graders to choose from her library of 1,000 popular works. It’s a collection that keeps on growing. Teen Outreach, which meets weekly during the school year, is helping students bridge the time between graduation and college in beneficial ways. Zayveon Hymon is spending the summer on a construction crew, doing minor repairs, major projects and gaining valuable experience before moving on to college and careers. For Twenty hours a week he learns to use the tools of the trade and build his résumés alongside Dale Cross, owner of Wyoming-based Sarge Construction. The Declaration of Independence was signed two-hundred-and-forty-one years ago, making the USA an independent nation. An August event takes a deeper dive into that document and the laws of the land. If you really want to understand what our nation’s forefathers had in mind when they got together to create the United States of America, an upcoming summer camp could be for you. Kentwood Public Schools and the Michigan Center for Civic Education are teaming up to offering a free summer workshop in August. 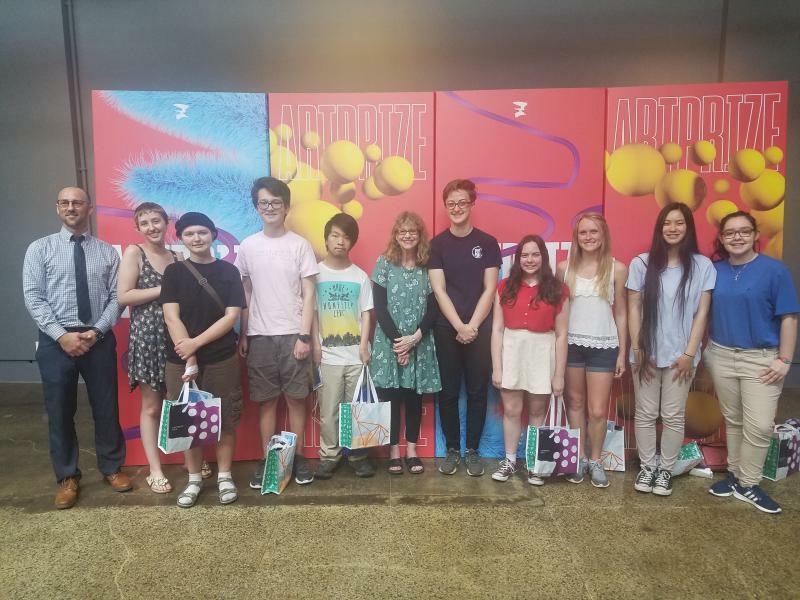 A $1,000 college scholarship from Consumers Energy will go to the top winner of this year’s SmartArt competition, a contest that stands for Students Making Art with a Renewable Theme. Watercolor wind turbines and pastel solar panels are some of the images and mediums used to create works of art with a renewal energy theme. They’re among the top ten finalists chosen in the sixth annual SmartArt competition. It’s a collaboration between Grand Rapids Public Schools, ArtPrize and Consumers Energy. Local students are pushing for change in the wake of the Florida school shooting. Jobs that pay well are open right now and companies are looking for skilled workers to fill them. School News Network is taking on this topic in new series: Bridging the Talent Gap. Over the past year, more than 4,000 manufacturing jobs have been added in West Michigan, according to Talent 20-25, a force working to meet the demand for talent in this area. 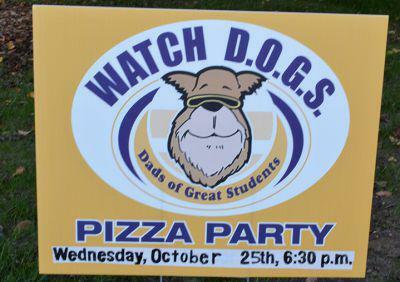 School News Network: Watch D.O.G.S. A new series from inside Kent ISD public schools highlights the power of parents who give their time to help students and teachers in area classrooms. One effort driven by dads started small and is gaining momentum fast. Joy Walczak has the story.